Help us to plant 84,000 trees and a greener future! 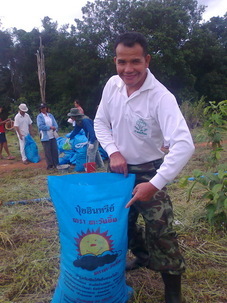 Since 2010, the Greener Tomorrow team has been planting trees in Buddhist temple grounds in North-east Thailand, helping to realize a greener and healthier planet, as well as to create peaceful spaces for contemplation and meditation. Currently, over 40,000 trees have been planted, towards a goal of 84,000 trees. More than 90% of the trees which have been planted are alive, and growing well. 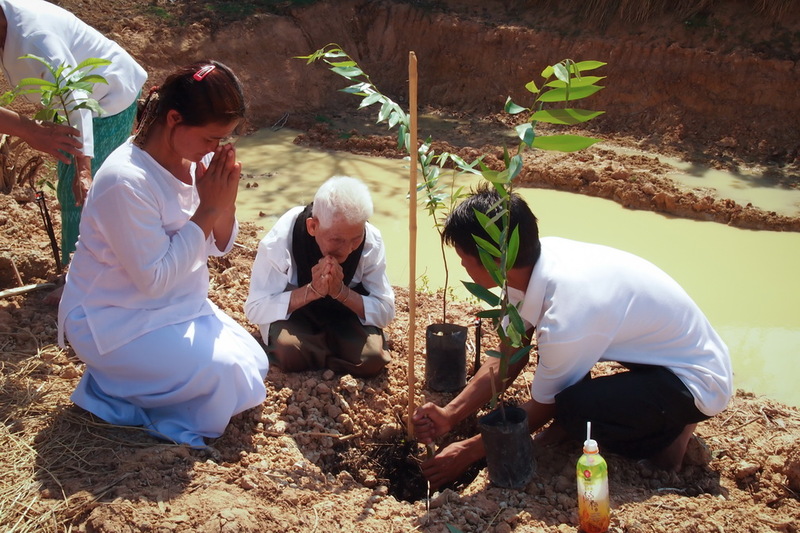 In Thailand, planting on sacred ground is a highly effective way of protecting forest. 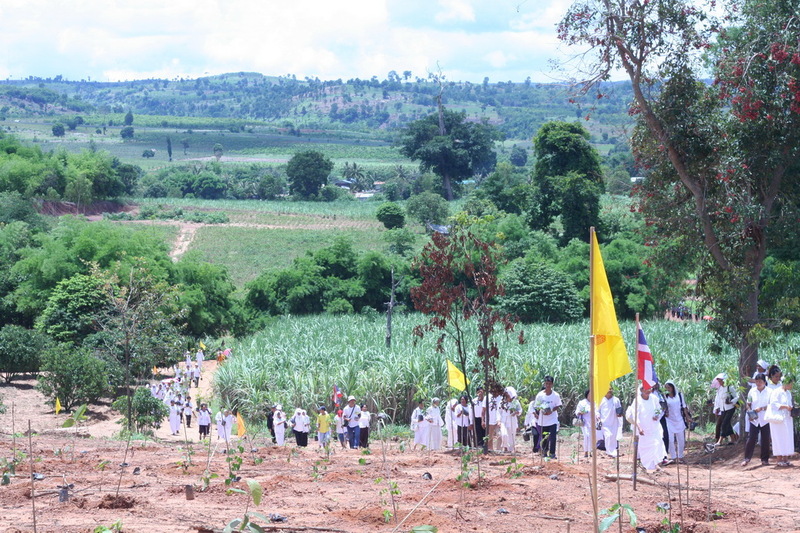 In fact, performing Buddhist ordination ceremonies for trees and areas of forest is a common cultural practice and a successful way of protecting trees in Thailand. Beyond tree planting, our team is working hard to nurture the newly planted trees to survive during the first years of their lives. We are raising funds for a solar-powered irrigation system for hilly areas, and coordinating donations of organic fertilizer. The project is lead by local community members, who have maintained a sincere commitment. During the first 2 years of the project, local people even carried water up the hill in buckets to keep the trees alive during the driest part of the hot season. Along the way, we have been joined and supported by over 500 people, of different nationalities and faiths, who share a simple, common desire to contribute towards a greener world, one tree at a time. 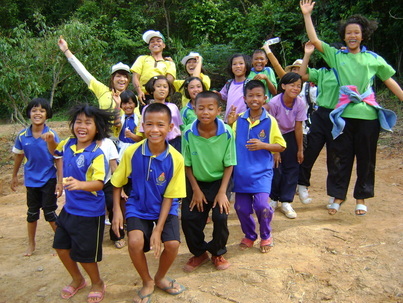 Supporters have donated time, energy, money, trees, fertilizer and helped to run English and environment camps for local youth. 100% of funds received will be used to support the project.